The photo id for this photograph is 256, in the Whaley Bridge L-S album. 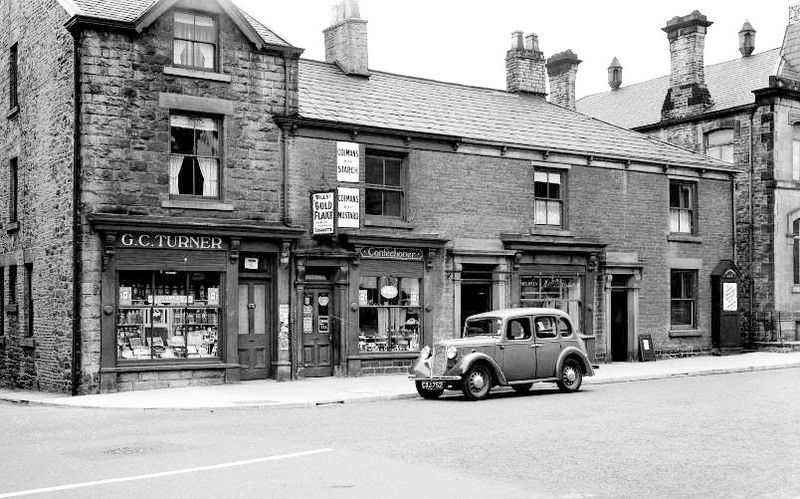 Cecil Turner's shop before he made the alterations to the front and side. The alterations consisted of removing the doors and incorporating a serving hatch with a bell 'for attention'. He made a door in the side of the building on Wharf Road which was used as a cafe. This shop was my grandfather's shop on my mother's side. My brother and sister still live in whaley bridge.